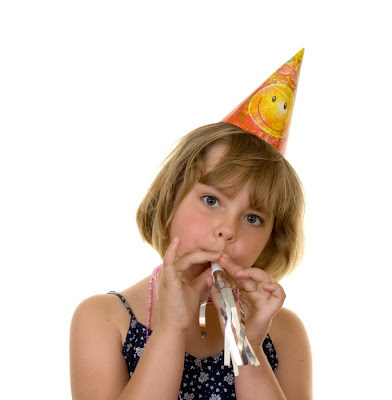 You don't have to spend too much time on an internet parenting forum until the "what to put in party bags" question comes up, and it always provokes strong, mixed reactions. My personal pet hate is party bags jam packed with chocolate bars and sweets (normally full of e-numbers) and perhaps the cursory bit of "plastic tat" that usually ends up in the bin after 5 minutes. I'm not alone in this bugbear, as my forum friends are very vocal about their pet hates. Always high on the agenda, along with the e-number invasion, is "plastic tat". Those with a few kids' parties under their belt will have had times when a tiny bit of plastic was deemed only good for the bin. Other much maligned party bag items are those with the potential to make a mess - modelling clay, bubbles and felt tips spring immediately to mind. So these are the things parents seem to hate, but what do they really like? Without doubt, mothers do seem to like little board books (especially for toddlers), stationery sets, bouncy balls, and most especially wooden party bag fillers! Parents also like the idea of one item, as opposed to a bag full of stuff. 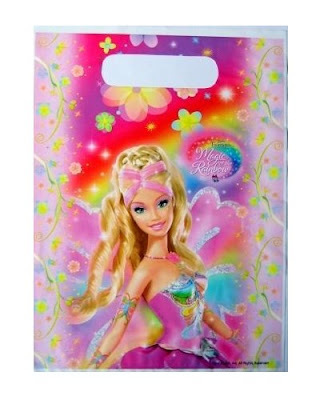 Now, seeing as I'm a purveyor of plastic toys, stationery AND wooden party bag fillers, what do I think? And more importantly, what do my customers think? I couldn't talk about "non-tat" plastic products without mentioning our best selling animal mugs. 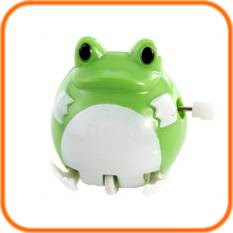 Made of plastic, they are cheaper and more durable than china mugs, and are really versatile. Environmental issues aside, I think it's safe to say that while there IS a lot of tat about, not ALL plastic party bag fillers are complete rubbish. 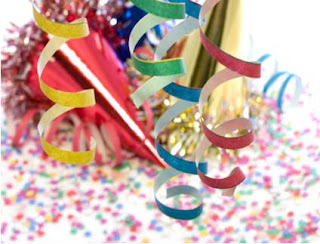 What about wooden party bag fillers? Well, the cons are that they can be a lot more expensive than other options, and in some cases they can split easily, or have bits come unglued. But it has to be said, that if you can afford them, then you'd be hard pushed to upset any parent with a good quality wooden party bag filler. I particularly like wooden bracelets and necklaces for girls, and wooden mice or racing cars for boys. Ultimately, I feel that we as parents shouldn't forget that party bags are for the children, and it's important to remember what they like too. This blog post was prompted by an article by Sarah Ebner Times Online. It makes for interesting reading, particularly the readers' comments. I'm pleased to announce that with immediate effect, every Funky Dory Party Bags customer will receive a voucher with their order, which gives them 20% off any order at www.kidsstuffandthings.com. Kids Stuff and Things produce personalised CD's, DVD's and story books to create the perfect, unique gift for all special occasions. Readers of my blog can also take advantage of this code, which is FD222. 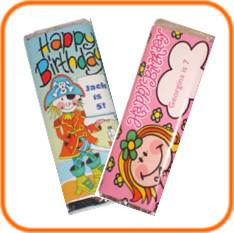 I'm delighted to announce that our range of personalised party products now includes personalised chocolate bars! Each 35 gram bar consists of 10 squares of delicious creamy milk chocolate, and can be wrapped in a choice of 10 assorted themes, specially selected to appeal to a wide range of children. Perfect for use as party invitations, party bag fillers, wedding favours, or just as gifts. They cost £1.50 each, and the minimum order quantity per design is 2 bars. They are produced to order, and we can email you a proof for approval if you wish. Our personalised party boxes have been a big seller for a couple of years now, so it was only logical to make a personalised party bag version. We're really pleased with the way these bags have turned out - they look fantastic, and as they are made from recycled white kraft paper, they are environmentally friendly too! Choose from the five charming designs, adapted from handpainted originals, and customise them with your own message. Not only are they really good - looking, but they are also very versatile - they have an inner capacity of 18 cm x 9cm x 22cm, so there is plenty of room for lots of party bag fillers, or wedding activities or even a packed lunch! 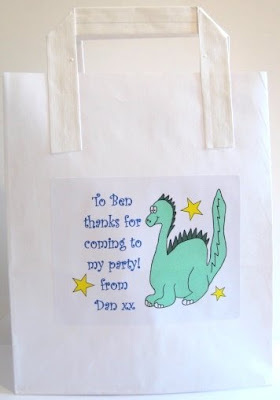 You will find lots of ideas for party games at Funky Dory Party Bags, however, you might feel you need something a little more toddler-friendly! Here is an interesting article about toddler party games, including a couple of variations on a treasure hunt (including a pirate themed one! ), and some other simple yet effective, fun party games for toddlers. 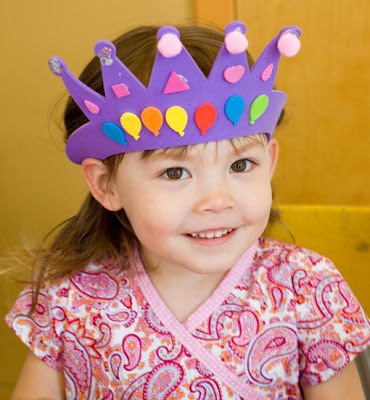 You should know that planning the perfect toddler birthday party revolves around having fun games. Since your options are virtually unlimited, you may not know where to start.